This blog covers mental health, drugs and psychotherapy with an emphasis on the role of family dysfunction in behavioral problems. It discusses how family systems issues have been denigrated in psychiatry in favor of a disease model for everything by a combination of greedy pharmaceutical and managed care insurance companies, naïve and corrupt experts, twisted science, and desperate parents who want to believe that their children have a brain disease to avoid an overwhelming sense of guilt. As I discuss in my book, How Dysfunctional Families Spur Mental Disorders, one marketing technique used by big Pharma to mislead physicians is the engineering of a journey of ideas that have never been proven into the clinical lore as if they were established facts. So-called experts who are paid off by drug companies make presentations at continuing medical education conferences or write "review" articles for medical newspapers or throwaway journals in which they mention these so-called "facts." They do tend to use conditional language, like "[such and such diagnosis] may be made in cases that do not meet the established DSM criteria, or that "[such and such] drug appears to have efficacy." And they almost always throw in a, "Of course, more research is needed" or something like that. Conditional phrases are said or written as a quick aside in order to leave the speakers and writers a loophole just in case a member of the audience challenges them about overstating their case. Should this happen, the speakers are then able to point to the conditional language they used and “remind” the audience that their use of this language indicates that they are not making spurious claims. Most of the time, however, no one in the audience will make such a challenge. The audience is left with a dangling implication (and a superficial sigh?) that the statement is an established fact. The non-discerning physician comes away with the “take home lesson” that the assertion is true. Research has shown that most people only remember one or two salient points from a paper or an oral presentation anyway, and Pharma knows this very well. A superb example of this was recently seen in the December 2011 edition of the newspaper Psychiatric Times. The article - for which a doctor could get credit for continuing medical education - was entitled The Clinical and Treatment Implications of Co-Occurring Mania and ADHD in Youths. It was written by Janet Wozniak, a protege of well-known pediatric bipolar and ADHD enthusiast Joseph Biederman at Harvard Medical School. She writes, "A major component of the debate regarding the diagnosis of bipolar disorder rests with its high overlap with ADHD." (her reference: a paper co-written by Biederman). In truth, the real debate is whether both pediatric bipolar disorder and ADHD are being over-diagnosed in children who have plain old behavioral problems or anxiety due to family dysfunction of various sorts and/or who are just plain acting out. She admits, "Arguably, all of the symptoms of ADHD, including inattention, impatience, disorganization, and restlessness, could be part of the mania component of bipolar disorder." And vice versa! Since we have no lab tests, exactly how then are we able to distinguish them? Unmentioned is that all of these symptoms can be due to anxiety or acting out as well. In her answer to this question, she brings up the fact that, according to the diagnostic manual, the DSM, "episodicity" is a definitional feature of bipolar disease. Loosely translated, this means that a manic episode has to last for at least a week, non-stop. She then goes on to say, "However, the documented chronicity and complex/rapid cycling of bipolar disorder in youths often renders the notion of classic episodicity as a distinguishing feature of mania functionally impracticable." So, she is saying that the DSM criterion is at the very least clinically unusable, with the strong implication that it has this idea completely wrong. Her view is documented, she opines. Sounds impressive. But I don't think she has a leg to stand on. People who created the diagnosis of pediatric bipolar disorder are the ones who made that up, using circular reasoning in my opinion. In fact, as I described in a previous post, the available evidence shows that unstable moods (affective instability) in children are not, in fact, related to bipolar disorder. And the whole concept of ultra rapid cycling is also highly dubious in adults, as I described in another recent post. Of course, Wozniak adds a sentence to the end of the paragraph that implies that the jury is still out on this question, but you can safely wager that the average doc reading this will not pay attention to that caveat. Besides, it's just not practicable to worry about such issues. She goes on to point out that of course giving stimulants for ADHD can make mania worse - true, if the child were really manic, a rare occurrence usually involving frank psychosis - and that medications for mania have a lot of potentially toxic side effects (also true). So if you cannot tell ADHD and bipolar disorder apart by their symptom presentation, then what is a doctor to do? Simple. She recommends diagnosing children with BOTH conditions! If you treat the patient with a downer like depakote, then the stimulant won't make them hyper. Uppers in the morning, downers in the evening, sugar at suppertime. File this under pharmacology, insane. 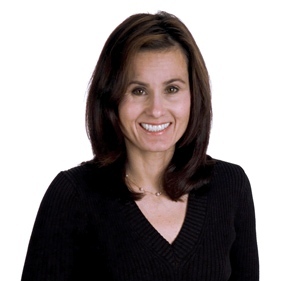 She then states that one study demonstrated that children with the "combined disorder" continued to meet criteria for both mania and ADHD after discounting overlapping symptoms, which to her "suggests" (to most readers, "suggests" means that it's true) that co-morbidity is not an artifact resulting from shared diagnostic criteria. And who did this study? Biederman's group! And then comes the kicker. 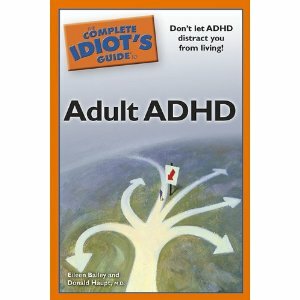 She states that 70 to 90 percent of pre-adolescents with bipolar disorder also have ADHD! Imagine that. 70 -90 per cent. Her reference for this truly unbelievable figure: another study of which both she and Biederman were co-authors. Now, I myself often reference my own previous work in my academic papers, but most of my work involves ideas rather than alleged statistics, and I do not want to have to have repeat all of my ideas anew in each paper. In this case, however, when a whole research group has come under suspicion like Wozniak's has, it might behoove them to quote someone who is completely independent from them and not funded by big Pharma. In Carolyn Hax's advice column of last November 25, she addressed the problem of people who need to speak up about the way they are being treated by parents, spouses, siblings, in-laws, and other family members and lovers, but do not do so because they "don't like confrontation." The letter writer had complained that the family of her long-term boyfriend, unlike her own family, seemed to go out of their way to exclude her from their family events. Holidays had become a bone of contention. The boyfriend refused to say anything about this to his family, despite her entreaties, because (cue cliche), he "doesn't like confrontations." Ms. Hax's answer contained one of my recent favorite quotes: "People who like confrontations are outliers; the rest of us simply put up with them when the alternative is to tiptoe through life, never articulating where you stand or what you need, and accruing the dissatisfaction of never setting the terms. A suspicion of drama can be healthy, but the moment something needs to be avoided at all costs, then healthy no longer applies." She added, "...if the only way to avoid drama is for you to absorb all areas of disagreement, then pretty soon there won’t be any you left, either. The way to avoid that fate — the only way — is to figure out which battles matter to you, and to fight those battles. I recognize that in many families, speaking up is a lot easier said than done. In some families, it can lead to verbal abuse, vicious arguments, emotional cut-offs or excommunication, and in some cases, physical violence. Sometimes family members in response start a guilt-tripping chorus of mea culpa's or figuratively or literally stick their heads in the oven. Still, just sitting there and allowing a big problem to fester is not the solution. Nor is divorcing oneself from the family - although that is better than allowing oneself to be abused or mistreated. The problem with the "just divorce them" school of thought about toxic parents is that we carry our parents around with us in our heads. Unresolved family issues can lead one to have marital problems, as well as negatively affecting our relationships with our own children. Luckily, there is a third choice besides taking abuse or divorce. I recommend trying to find some way get around one's family's natural defensiveness in order to discuss the family dynamics and to alter dysfunctional relationship patterns (metacommunication). If you change your approach to them, it can force the others to change their approach to you. Family systems theorists liken the family to a mobile - if you tug at one hanging part, it reverberates throughout the whole piece. (This does not mean that it is your job to "fix" your family. Your job is to fix your relationships with the various family members). But it's a bit more complicated than that. Family members have numerous tricks to counteract changes that you try to make. The target of your metacommunication may counterattack with their own complaints about you, some of which may be quite valid, without ever addressing your complaints about them. Seldom-seen family members may even come out of the woodwork to express the sentiment, "You're wrong, change back!" Unfortunately there is no one-size-fits-all strategy for discussing family interactions, since each family has there own unique dynamics and sensitivities. [Marketing alert, but only in a good way:] Fortunately, there are therapists around trained in family systems issues who help with this sort of thing (particularly followers of Murray Bowen). Finding one, however, may take a bit of work. 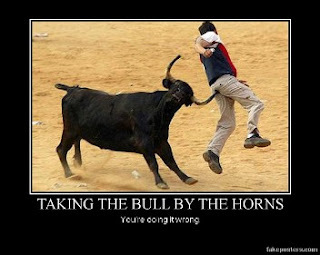 Take the bull by the horns and do it. It's definitely worth the effort and the expense. So what if your husband’s out chasing booty? So what if your brother’s coming on to your kids? Your brain’s miswired, that’s all that is! (Anyone who wants the chords, please feel free to contact me). In Part I of this post, I discussed why family members hate to discuss their chronic repetitive ongoing interpersonal difficulties with each other (metacommunication), and the problems that usually ensue whenever they try. I discussed the most common avoidance strategy - merely changing the subject (#1) - and suggested effective countermoves to keep a constructive conversation on track. In Part II, I discussed strategies #2 and #3, nitpicking and accusations of overgeneralizing respectively. In Part III, I discussed strategy #4, blame shifting. In Part IV, strategy #5, fatalism. This post is the second in a series about strategy #6, the use of irrational arguments. Descriptions of this strategy have been subdivided into several posts because, in order to counter irrational arguments, one first has to recognize them. I will hold off describing strategies to counter the irrational arguments until after I have describe some of the most common types. Irrational arguments are used in metacommunication to throw other people. The other individuals either becomes confused about, or unsure of the validity of, any point they are trying to make or question they are trying to ask. Fallacious arguments are also frequently used to avoid divulging an individual's real motives for taking or having taken certain actions. The fallacy I would like to discuss in this post is post hoc ergo propter hoc, which literally translated means "after this, therefore because of this." Under this fallacy, two events that occur in sequence are merely assumed to be causally related. That is, if event B follows event A, then an assumption is made that A caused B, even though many other environmental events were also going on during the time between A and B that could have caused B, either individually or in some combination. This sort of fallacy can be funny when it is obvious but difficult to detect when subtle. No one would believe a doctor who claims that headaches are caused by a deficiency in the body of aspirin, but the debate rages on over whether the effects on assailants of por­nographic movies caused them to become rapists. I frequently see this fallacy used in arguments made by the anti-psychiatry crowd. If some psychiatric symptom developed by a patient occurred after he or she either started or discontinued a drug, they argue that it simply must have been caused by the medication. Well, sometimes it is, but often it is not. The further removed in time from when the medication was started or discontinued, the less likely it becomes that the drug had anything to do with the symptom. There are a very limited number of drug-induced symptoms that, once started, never go away, and those usually involve a situation in which a drug actually grossly damaged an organ. Some dyes used in X-ray procedures, for example, may physically damage the kidneys. Tardive dyskinesia, a long-term neurological problem in the central nervous system caused by antipsychotic medication, is one obvious exception. Withdrawal symptoms from addictive drugs almost always go away after a relatively short period of time. With patients in psychotherapy, the post hoc fallacy is most frequently seen with during conjoint marital or family sessions. When spotted, such a fallacy may reveal the presence of a family myth. A family myth is a false belief that assists family members in suppressing those thoughts, feelings, preferences, or behavior deemed to be unacceptable and in allowing one or more family members to continue playing a spe­cific role. The myth may be believed by an individual, a sub­system of the family, or the entire family. Family myths may take the form of a causal explanation of a family member's be­havior that is not the true explanation. In order to be believ­able, the myth often makes use of the post hoc ergo propter hoc fallacy. In such a myth, the belief in a causal connection is based solely on a sequence of events that takes place in a certain period of of time. If the behavior to be explained begins after a certain event, the behavior is blamed on the event. As with other mechanisms used by people who are attempting to hide their true feelings and beliefs, the proposed cause often re­veals clues to the real cause, even though the proposed cause is meant to be a smokescreen. One example occurred in a family being seen under duress from a probation officer. A young teenager was caught shoplifting. He lived with his father and his siblings. The mother ­had not only divorced the father but abandoned the family, entirely abdicating any family responsibility in order to pursue a career. The father could rarely spend time with the boy because the firm that he worked for was demanding more and more overtime. The father ­routinely worked fourteen-hour days; he expressed disappointment· that the boy could not take better care of himself without supervision. The post hoc fallacy was expressed in the session following an incident in which the son picked a fight with another boy who was twice his size. The father theorized that the son had engaged in this rather dangerous activity because he had not had a good night's sleep the night before the inci­dent - and was therefore overly irritable. This seemed to me a rather odd explanation. When provoked, overly irritable people will sometimes unthinkingly do or say things that they other­wise might keep to themselves, but they seldom go out looking for trouble. The father appeared to be attempting to veer away from any explanation of the boy's odd behavior that might involve family dynamics, but he unwittingly revealed something about himself. It was he, the father, not the son, who was irritable from lack of sleep. I later guessed that the boy's acting-out behavior was a feeble attempt to force the father, who was utterly ex­hausted from working so much, to work less. The probation officer had in fact required the father to be at home more in order to supervise the misbehav­ing youngster. The boy was also bidding for more attention, as many therapists would theorize, but I believed that he was genuinely concerned about his father’s mental health. When I suggested to the father that the boy was, at great per­sonal sacrifice, attempting to indirectly demonstrate his concern by forcing the father to insist on more time off, the father never really bought it. However, soon Dad was spending more time home, and the patient stopped acting out. No causal connection between my intervention and the boy’s subsequent im­provement was ever established. "We'd like to invite you to join your colleagues and thought leaders in the field for a discussion concerning a new treatment for major depression." This sounds like something that a busy physician, trying to keep up with the latest developments in the field, might really benefit from. I continue to get invitations that sound just like this one. The group sponsoring such discussion groups is not usually identified clearly in the invitation, but if it is mentioned the name usually contains words like "medical education." Of course, the sponsor does not formally offer the kind of Continuing Medical Education most physicians require for keeping their medical licenses. When I was a young and somewhat naive psychiatrist back in the early 1980's, I responded to one of these invitations to learn about a new antidepressant called Desyrel (generic name: trazodone). This medicine is used today primarily in low doses (25 - 150 mg.) as a non-addictive sleep medication because many people find it extremely sedating. The anti-depressant dose, rarely prescribed because many people taking it have trouble staying awake, is 400 to 600 mg per day. Consequently, many doctors don't think it is an effective antidepressant because they never prescribe anywhere near that much. Desyrel came out in the years before the SSRI antidepressants like Prozac and Paxil were on the market, and many docs were looking for alternatives to tricyclics like Elavil or imipramine, and MAO inhibitors like Nardil, since those medications often cause a lot of side effects and are also fatal if taken in overdose. The real sponsor of the discussion group - the pharmaceutical company making Desyrel - was well aware of this and was looking for the best ways to take advantage of this situation in order to increase the number of prescriptions being written for its new drug. And not just by having doctors learn about the drug. In fact, the real and covert reason for sponsering such discussion groups in the first place is to study physician behavior. Of course, I did not know that at the time. The drug companies were putting doctors under the microscope to determine the best ways of marketing their products. They still do this, and they are very good at it. Looking back, I remember the "leader" of the discussion asking the panel, "If I told you that Desyrel works much faster than tricyclics, would that be something that would be important to you?" Since anti-depressants, when they work for Major Depressive Disorder, do not begin to kick in for about two weeks, and do not provide their full benefits until five to six weeks have elapsed, this would indeed be a fine selling point. "Of course," most of the members of the now quite excited discussion group replied. Since then, almost every new antidepressant, up to and including the latest one called Viibyrd, has made the claim that it has an earlier onset of action than all the others. For the record, none of them actually does. The pharmaceutical industry shows particular interest in discussion group members who seem reluctant to endorse their new product. These folks become objects of more intense study. The group leaders probe these persons to find out exactly what might convince them to prescribe the new pill. How can they best appeal to them? Feed their ego in some way? Preach patient convenience? Which side effects are they most concerned about? The answers to these questions are not only used to develop overall strategies for pharmaceutical sales reps to use with reluctant prescribers, but are also used to compile information on individual physicians in the area, so sales reps can prepare themselves with a plan that is highly tailored to each physician. The plan is then used on the unsuspecting practitioner to help increase the number of prescriptions for their drug that that doctor writes. The success of the reps is then monitored by the company by studying the prescribing practices of the given physician. This information is readily available from local pharmacies unless the physician knows that he or she can opt out of allowing pharmacies to sell their information, as I described in a previous post. Available at Amazon, Barnes and Noble, and on the publisher's website. Available now through your independent online bookseller, http://www.amazon.com/Dysfunctional-Family-Spur-Mental-Disorders/dp/031339265X/ref=sr_1_1?ie=UTF8&s=books&qid=1275492712&sr=1-1 and http://www.barnesandnoble.com/w/how-dysfunctional-families-spur-mental-disorders-david-m-allen/1110833601?ean=9780313392658&itm=1&usri=9780313392658. Click the cover to buy on line from your closest indie bookseller. David M. Allen, M.D. 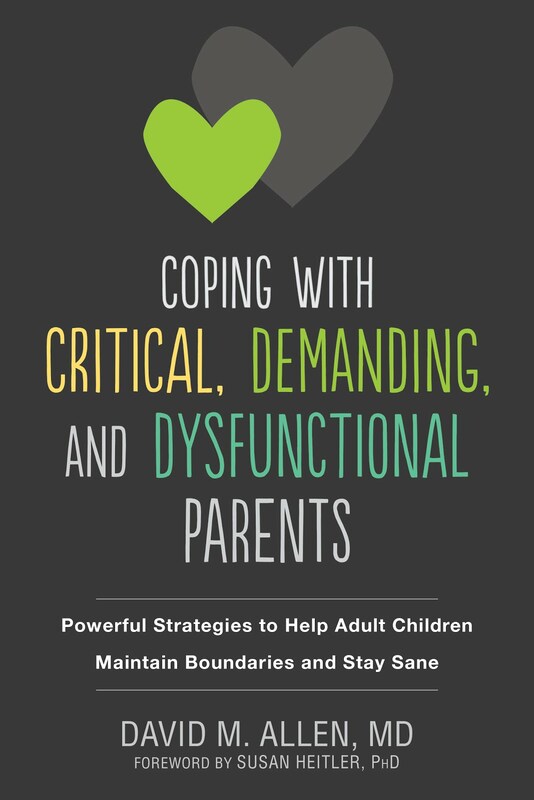 is the author of the self-help book, Coping with Critical, Demanding, and Dysfunctional Parents: Powerful Strategies to Help Adult Children Maintain Boundaries and Stay Sane. 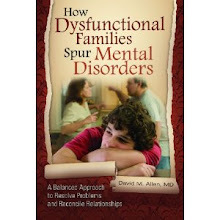 He is also the author How Dysfunctional Families Spur Mental Disorders: A Balanced Approach to Resolve Problems and Reconcile Relationships. He is Professor Emeritus of Psychiatry and the former Director of Psychiatric Residency Training at the University of Tennessee Health Science Center in Memphis, a position he held for 16 years. Additionally, he has done research into personality disorders and is a psychotherapy theorist. 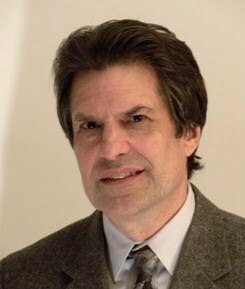 He is the author of three books for psychotherapists: A Family Systems Approach to Individual Psychotherapy, Deciphering Motivation in Psychotherapy, and Psychotherapy with Borderline Patients: an Integrated Approach, as well as numerous journal articles and book chapters. He is a former associate editor of the Journal of Psychotherapy Integration. He received his medical degree from U.C. San Francisco, and his psychiatric residency at the Los Angeles County - University of Southern California Medical Center.